Wen out both Monday (7/29) and Tuesday (7/30). Monday night I was out with my friend Chris and we picked up 5 and lost 1. Tuesday I was out with a Co-Worker and we caught 3. Slow nights for sure. Water is still gin clear, hardly any wind each night which made dealing with the bugs a pain. Very few floating weeds which is understandable with the west winds we had for a few days. 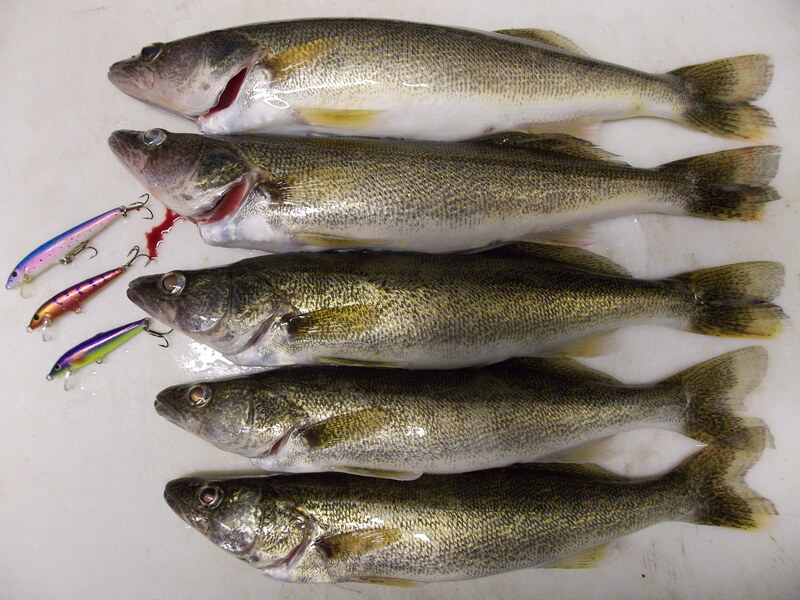 PIcked up a couple of the fish just north of Calf Island in 20 feet of water. The rest came from between the Catamaran and the Stacks. One interesting difference from last Monday where i destroyed them to this week is the water level fluctuations and the temps. Last Monday (7/22) when I launched the breakwall at Elizabeth Park was covered and by the time I got back 6 inches of it was exposed. Monday and Tuesday of this week the break wall was covered in some areas. Also, on the 22nd the surface temp was 78 degrees. Last night it was 70 degrees. What the temp is at the bottom of the river I have no idea but I’m wondering what that has done to the bite, along with all the boat traffic we had over the weekend with the FLW in town. 115 bass boats ripping up and down the channel can’t help matters much. We didn’t catch as many Smallmouth Bass either but the ones we did get were some tanks. Several in the 18 to 20 inch range and oh did they make a mess of things. 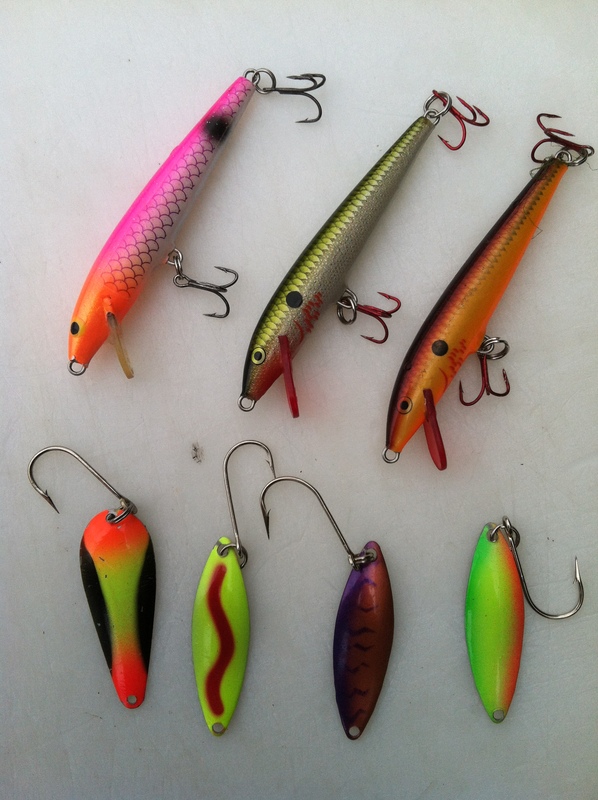 No pictures of the fish but here is a pic of the lures that caught them.